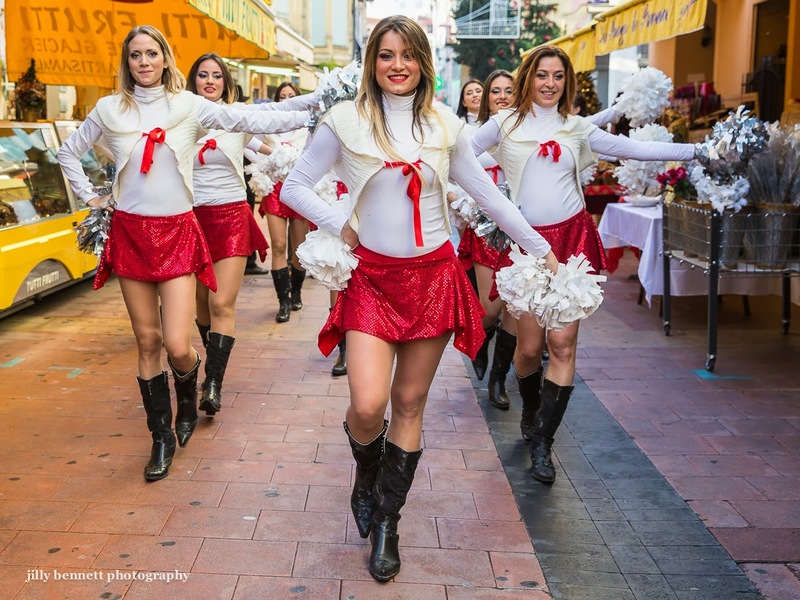 Menton Daily Photo: Pom Pom Girls for Christmas! Look who I nearly bumped into yesterday in Menton. Regardez avec qui je suis presque entrée en collision hier, à Menton. For Christmas? The French are so non-traditional, at least in Menton! I certainly did not expect to see this in Menton. But, I am studying the photo closely . . .
OMG. The worst of America has invaded Menton. I don't mean the women, particularly, but the next thing you know there will be NFL games in the soccer stadium in Nice. I'm thinking the same thing, Bob.